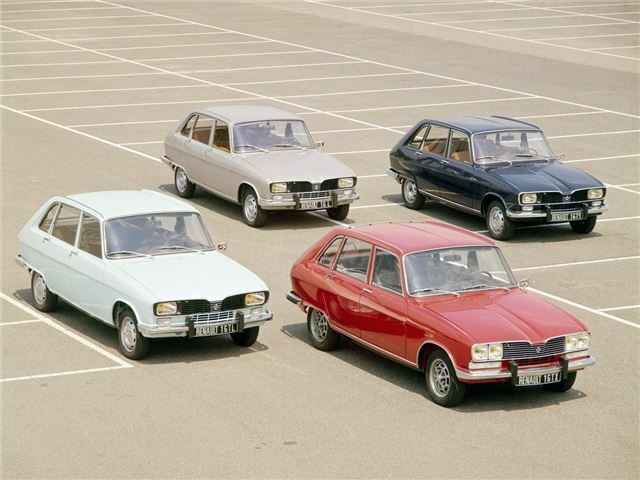 The Renault 16 was an innovative and interesting middle-class family car that proved that Renault's front-wheel drive concept pioneered in the 4 could be scaled up successfully where the profits were much higher. It also could be described as being one of the fathers of the modern family car, offering a hatchback and front-wheel drive years before it was popularised by cars such as the Vauxhall Cavalier Mk2 or Volkswagen Passat. Although not an obvious candidate for stardom, the Renault 16 was actually one of the 1960s most important cars. The monocoque body housed Renault's first front-wheel-drive arrangement on a large car; although unlike the BMC equivalents the engine was mounted longitudinally. However, the unit was thoroughly modern, with an aluminium cylinder head and block and wet liners, and it would go on to power millions of Renault vehicles well into the 1990s. The long-travel fully-independent suspension, which employed all-round torsion bars, guaranteed a soft ride, and soft and supportive seats and a well-trimmed cabin, merely enhanced the feeling of luxury. The column-change gearbox was popular on the continent, but British buyers couldn’t get on with it, although this wasn't a problem for most owners as it was light and smooth to operate. The R16's claim to fame, however, was its hatchback rear end. Other cars had been built with an opening rear hatch before, including the Renault 4, but it was the 16 that introduced such practicality to large, mainstream family cars, and wouldn't be rivalled until Austin's Maxi debuted in 1969. 16TX was the top models, with luxury cabins and 90mph capability. Conceptually it was similar to the R4, so that meant an odd longitudinal engine with the gearbox placed ahead of it in the nose, but in a larger car, the space inefficient layout was less of a problem. Lively alloy engines delivered fine performance, and disc brakes were powerful. 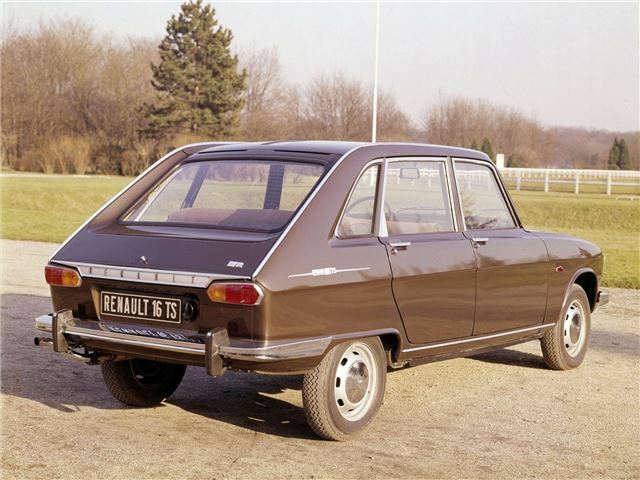 The 1973 Renault 16TX was the ultimate version, with 1647cc 93bhp engine, five-speed transmission and quad headlights. Today it's still a great drive, but the best examples are now fetching strong money after years in the doldrums.